Now that the weather is finally getting warmer…..and then colder ……and then warmer again (New Jersey life!) I’m excited to slowly start bringing out my Spring/Summer recipes. I LOVE all things warm (hot actually) weather and food is definitely on the top of my list! Fruits and veggies are more delicious, everything is a bit lighter and of course……I can add the grill to my cooking rituals. 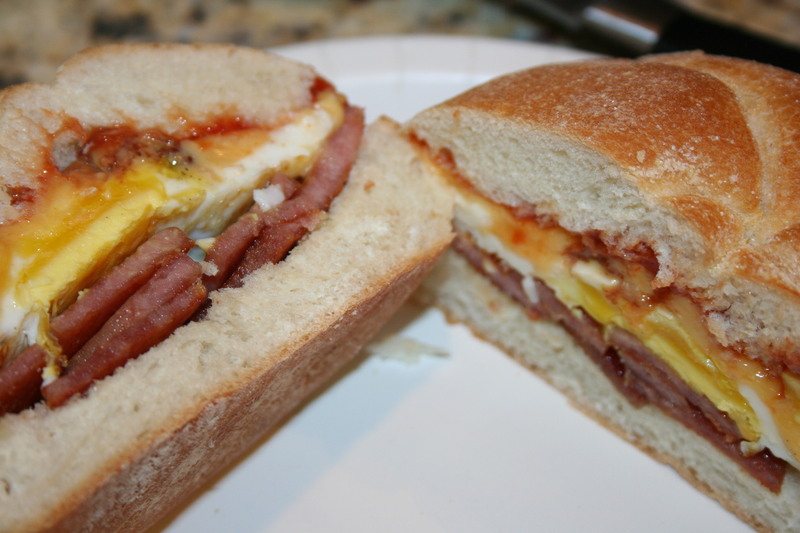 I honestly have no idea where I got this recipe….but I got it awhile ago. If it’s yours, let me know and I will give props! 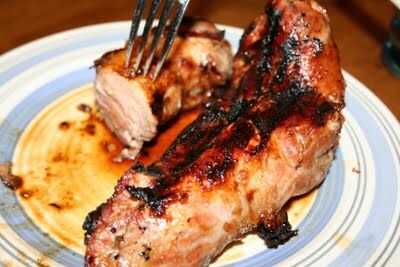 It’s for a delicious grilled pork tenderloin. Simple and delicious! Combine all ingredients in a plastic bag and marinate for at least 4 hours. I did mine overnight which made it so tender. Set grill to medium heat. When ready, place pork on grill and cook for approximately 20-25 minutes, flipping once halfway. Mine was about 12 minutes on each side! As you know…..I’m not a huge meat eater, with the exception of chicken, turkey and seafood….the only other meat I like is pork! Well NOT all pork, but some! This pork tenderloin recipe is to die for! When I say it’s delicious, it’s an understatement. It’s so tender and has the perfect amount of sweet and spice (sassy)! I got the recipe from my friend, Jen! Thanks, Jen!!! 🙂 I know here in Jersey it’s hard to use a grill right now since most grills are under 2 feet of snow, but if you have access to your grill….or you can ice pick your way to it……DO IT! The key is marinating it for long enough and cooking it perfectly. I can promise you, you will add this to the rotation. As for my kids….they LOVE it! 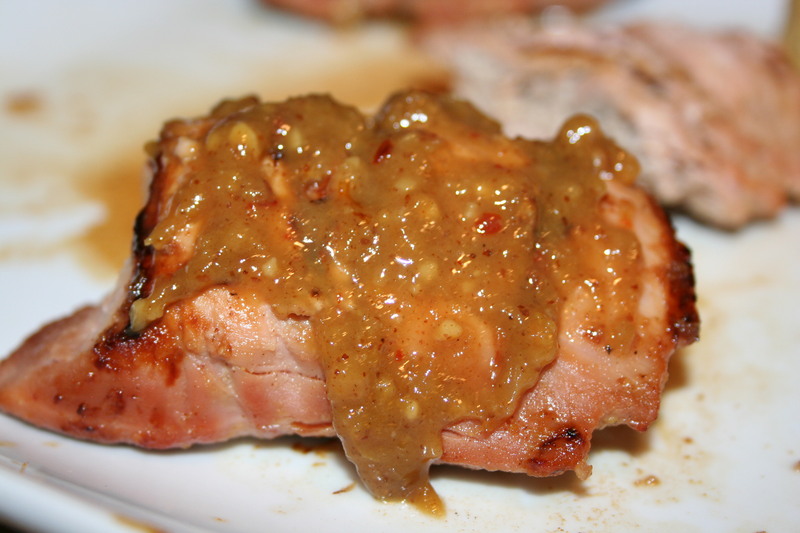 I always double or triple the marinade recipe so there is enough sauce to smother and dip! You should definitely do the same! This is also a perfect dinner idea if you are having company….well..because it’s that good and you will get rave reviews! PROMISE!!! 1 teaspoon crushed red pepper flakes…if you want it more sassy, add more! Cut tenderloin into 1-1.5 inch thick pieces..and place in large bowl. I got about 8 pieces out of mine. Stir together sugar, Worcestershire sauce, vinegar, mustard, garlic, red pepper flakes, and horseradish in bowl, until blended and pour over pork. Let marinate for at least 2 hours..I do it all day! Place the meat onto preheated grill (med/high heat). Grill until no longer pink in the center, approx 8 minutes per side. When finished, place pork on a plate, and allow to rest for 5 minutes. While meat is cooking bring the marinade to a boil on the stove, and simmer over medium heat, and stir until smooth. Pour sauce over sliced tenderloin to serve. This is always a crowd pleaser because it can be served as a main dish during a party or it can be served as an appetizer. It can be served on bread or just in a plate and some do it over pasta. I have become a huge fan of turkey sausage, so feel free to use that instead…..AND if you like a little spice in your life you may opt for hot sausage as opposed to sweet. So as you can see, it’s very versatile. It easy to make for a large group too. My Mom used to make it all the time when she had large amounts of people over. This recipe is what I usually make for my family of 4 (with a bit leftover), so if you are making it for more people make sure you make more. In the summer I usually throw them on the grill for the last 10-15 minutes just to give them that nice grill taste, but here in Jersey it’s way too cold to be grilling when it;s just as easy and delicious to keep them in the oven. Lightly oil the bottom of a 8×8 Pyrex dish. With a fork pierce a few holes in each sausage link and lay them in Pyrex. Cook for approx. 30 minutes. Half way through flip them over. At 30 minutes remove from oven and slice the links open (butterfly them) and return to oven. Cook for about 15-20 more minutes until no longer pink inside. 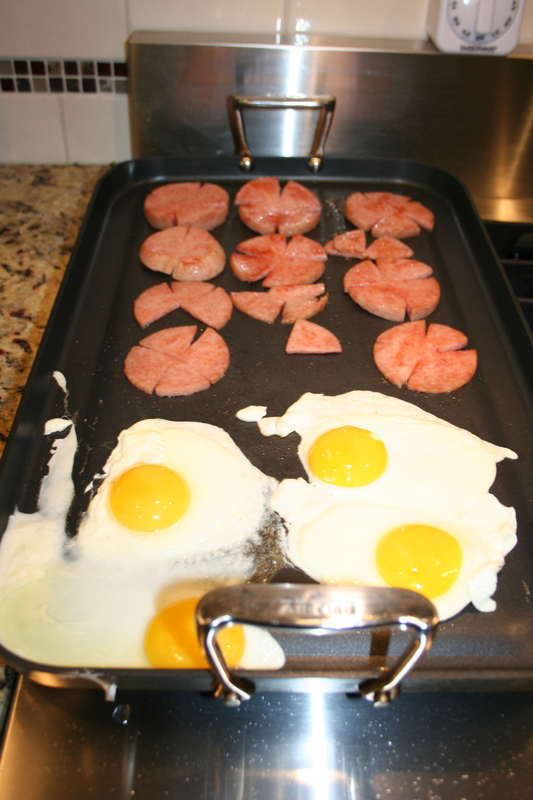 Slice links and put them on a preheated medium heat grill and cook for about 15 minutes until no longer pink. Slice peppers and onion and stir fry on stove top in olive oil ans salt and pepper (to taste) until cooked, but still slightly crispy. I like mine on the harder side, but if you like yours softer you can cook them longer. 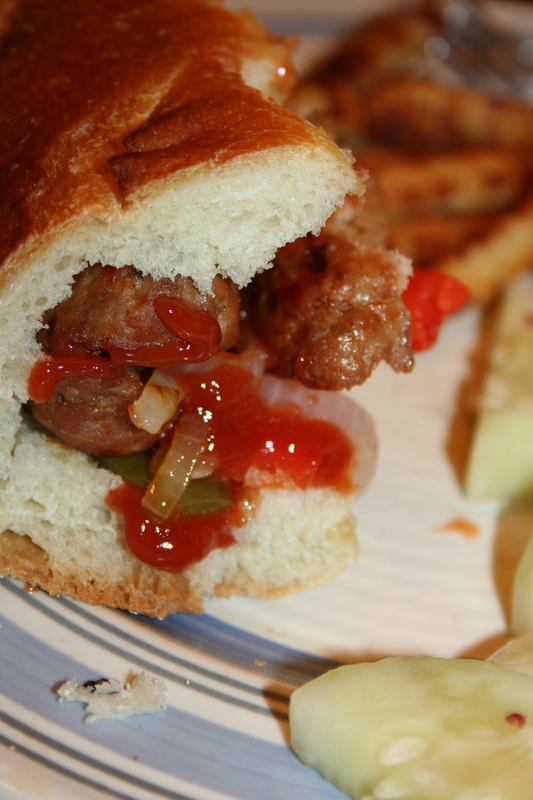 Once sausage and peppers and onions are fully cooked serve both on bread of your choice. I like to eat mine with ketchup, but you can also use your favorite marinara sauce or eat it plain! I love using my crockpot, but sometimes it gets hard finding recipes I like in the crockpot. Sometimes the recipes make the food too wet or too dry and sometimes it tastes “crockpotty” (the taste it gets from sitting in a crockpot all day — there is a certain taste, trust me). So I decided to give baby back ribs a try in the crockpot. 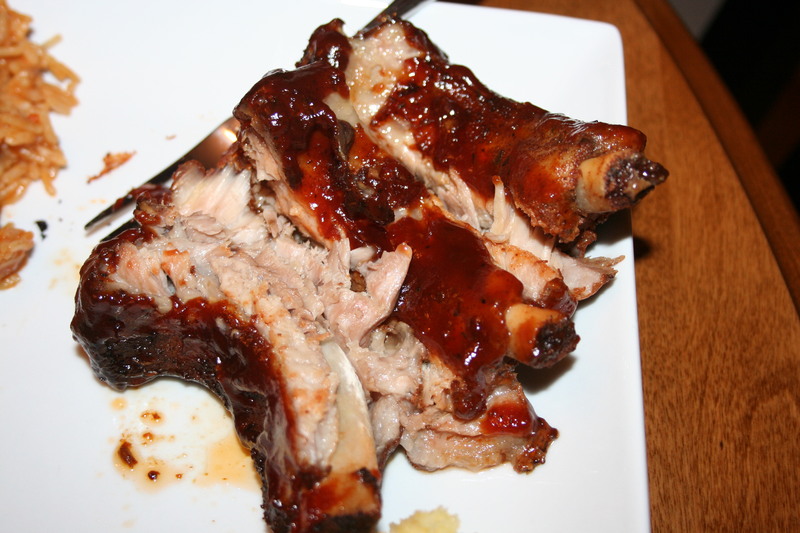 Last time I made ribs in the crockpot, they were very good…..but I used country ribs (bone in)….this time I decided to use baby back and cook them on low instead of high! I also changed things around a bit. I gave them a dry rub and waited to add the BBQ sauce (Sweet Baby Rays obviously!) until the end! And HOLY COW….I hit a home run! These were AMAZING! Probably one of the best things I’ve made in my crockpot! 1 large rack of baby back ribs (I honestly don’t remember how much it weighed). Cut your ribs into sections (4 ribs in each)….you should get 4 or 5 sections. Combine all your dry ingredients and give those ribs a good rub down…make sure to coat the entire thing. Generously spray your crockpot with cooking spray. 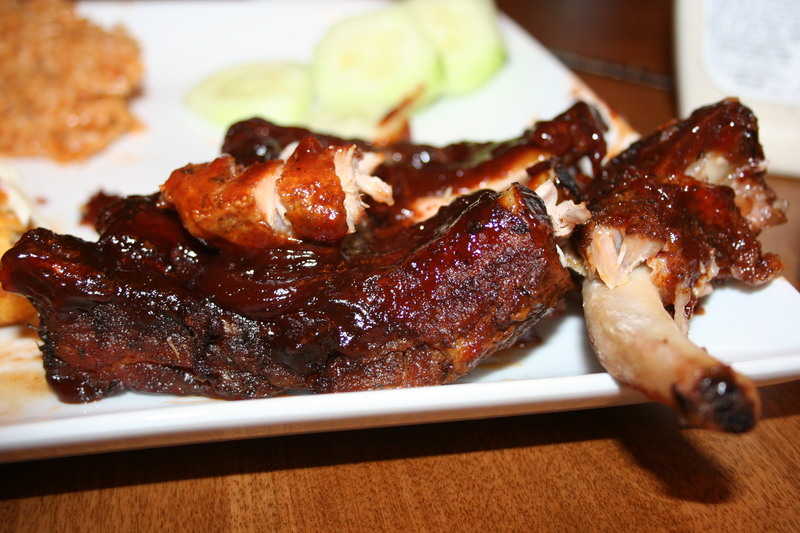 Stack your ribs sideways/vertically in the crockpot….bone side down. Kind of lay them against each other. After the 8 hours is up, uncover and brush the ribs with BBQ sauce. I pretty much smothered mine…but I like them saucey! Cover and turn heat up to HIGH and cook for another 30 minutes! I don’t make pork chops that often (as you’ll come to find out), but I’m always looking for new things to make and new ideas. I’m not a red meat eater…..I know..shocker! I’ll cook it, I’ll eat it once in awhile, but I just don’t love the taste. It’s also not something I’d ever pick off a menu. So it’s pretty much chicken, turkey (ground), seafood and pork all the time. Don’t worry….I have a few meat recipes in my vault, they just won’t come as often as the rest! 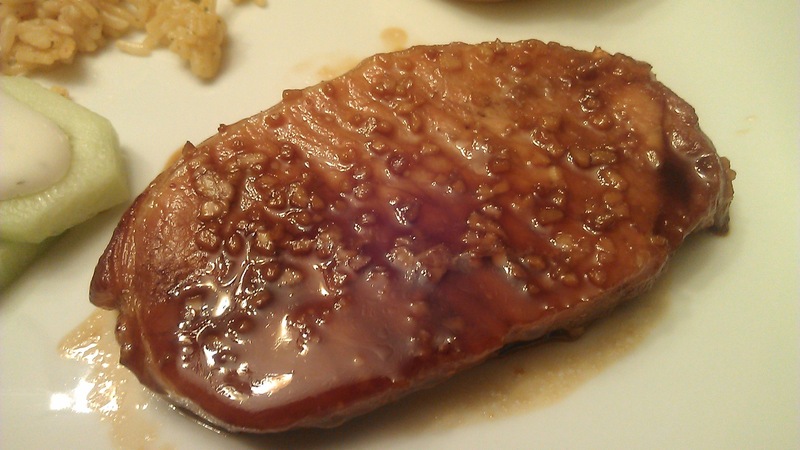 OK…so pork chops (no applesauce)….I got some boneless ones while food shopping and decided to try them out. I asked my cousin if she had any recipes and she gave me a very simple recipe. She had it pinned on pintrest, but I don’t know where she got it from. You just add the ingredients together, marinate the pork chops and cook! DONE! I didn’t have any measurements…..i just winged it to taste! Whisk together honey, soy sauce and garlic. Pour over pork chops and let marinate for 2 hours — all day. Preheat oven to 350° and cook pork chops for 30 minutes.